Discussion in 'iPhone and iPad Games' started by blackjack05, Oct 16, 2015. Hello Guys! 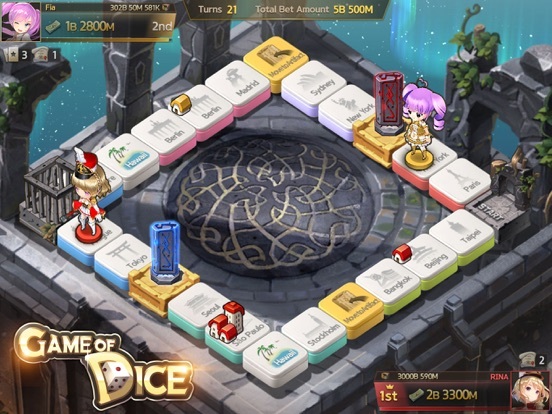 I just found out a new mobile board game called Game of Dice! 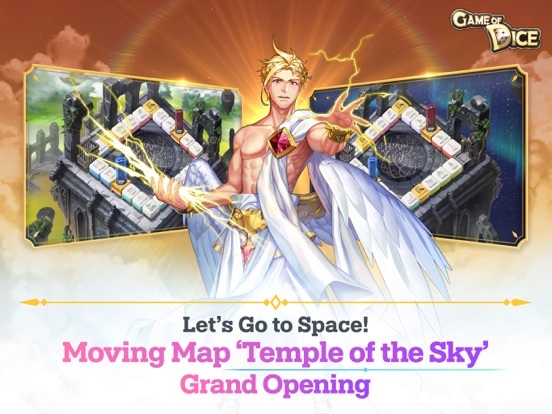 It just launched today and it looks really interesting. I'm currently playing it now! Wanted to share this channel made by my friend as well called "youTOB"! It only has a introductory videos and some anime stuff right now but he will upload more of it such as gameplay and strategic videos of Game of Dice soon! 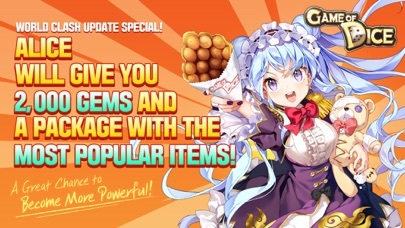 So please check this link and subscribe to get updates from Game of Dice! 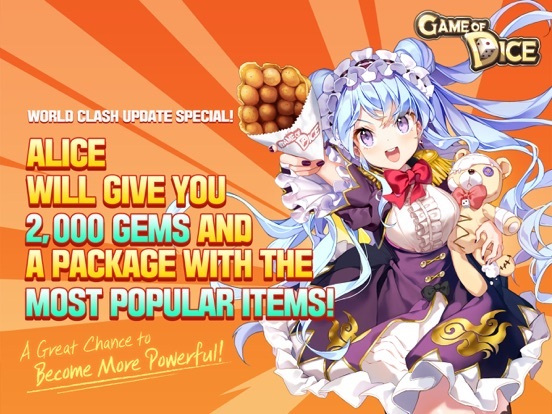 What is ‘Game of Dice’? ▣ Seize victory with unique strategies. - Use special Skill Cards such as "Push", "Drag" and more. - Over 150 cards to create your own strategies. - Take over properties and increase tolls. - Bankrupt your opponents and you win! ▣ Various real-time match making modes! - Play 1v1 or 1v1v1 Single Matches for quick games. - Team up with a friend for 2v2 Team Matches. ▣ Stay Connected through features such as Guilds, real-time chat and more. - Join a guild and make new friends! - Participate in weekend Guild Matches for your Guild and get amazing rewards. - Exchange info and find teammates with real-time chat. 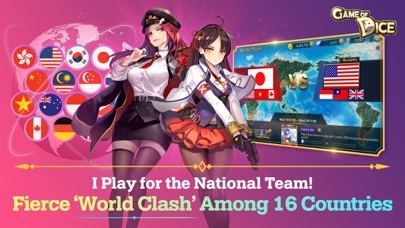 Multiple language support: - English / 日本語 / 简体中文 / 繁體中文 / 한국어 ◆ Community Follow us on our official communities to receive latest news and updates! 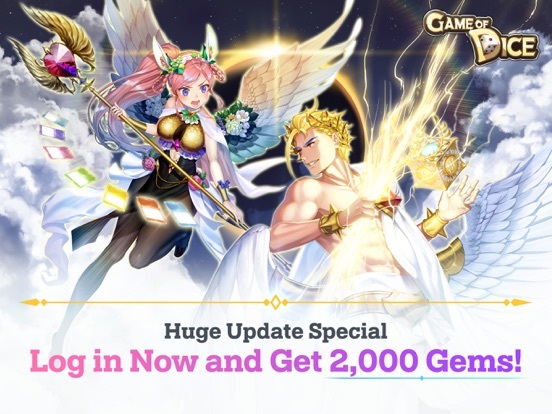 - Facebook : http://www.facebook.com/gameofdice.eng ◆ Customer Support Please contact our customer support(https://gameofdice.zendesk.com) for any inquiries or comments ※ Game of Dice requires network connection for real-time matching. 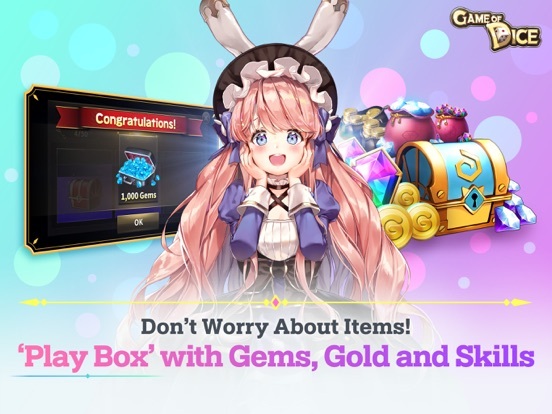 ※ This game is free to play, but you can choose to pay real money for some in-game items. This game is extremely pay 2 win. You will get crushed in any tier but rookie by someone who spends 25 bucks on one bundle. Entirely true. Plus the sheer randomness of the game is crazy. I went from first place with more than triple the money of the second place person to out of the game with two bad rolls (in a single turn). Really pretty game but already uninstalled. Really neat little game.. Too bad it was a crash-fest and complete money grabber..
Well that's what actually makes this board game intense. There's still a chance to win no matter how large the gap is. You can't feel at ease just because you're so far ahead already from your opponents! I'm actually still winning even though they have higher level characters or dice than me. And if your characters or dice are not strong enough you can always participate in the Rookie Channel. Of course buying diamonds will indeed make you stronger fast but not that so much stronger than others cause this game mostly relies both on skill and luck! You posted a copy/pasted message that this game/company spammed across many gaming forums - so I'm pretty sure you're affiliated somehow. Guerrilla marketers used to do a better job infiltrating. With that said, I actually do very much enjoy the game especially the team matches / multiplayer. That said, I'm still in Rookie so haven't seen the soul crushing P2W aspects yet. Hmm. Yeah I did share this to other forums that I am also registered. But I'm not as spam or with any company. I just shared to the guys that shared many board games to me as thanks. I guess I should be more careful and change my description a bit to prevent being accused as a spammer. I'm really sorry, I'll be more careful. Thanks for the warning! Anyway,this game is surprisingly addicting. Not sure how long I'll play but I am enjoying it for now. I'm not a gem buyer. 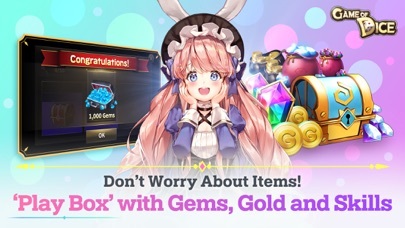 I'm currently focusing on gold using my Joy for gold and selling 1star-4star characters to get many gold. And then I only enhance at least 2 4star characters. 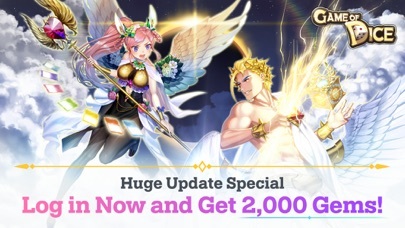 I will use my gold to maximize both their level and combine them to easily get a 5 star character. As for the free gems from missions and other freebies, I use them to get skill cards or dice fragments. 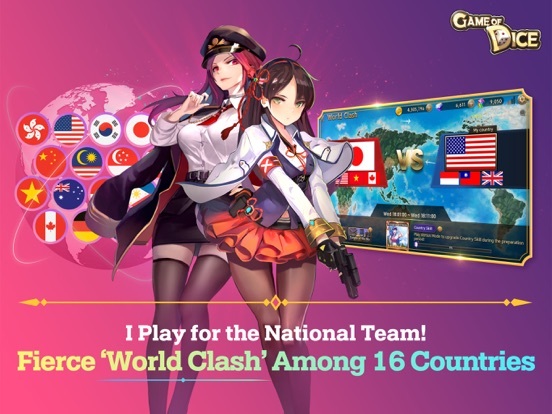 This game is a hit in Asia. 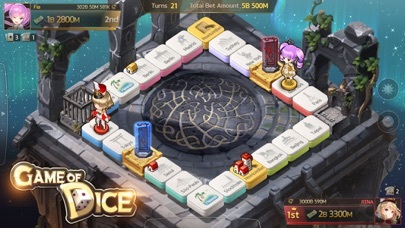 Following the success of LINE's Get Rich, it came as no surprise that "Game of Dice" reached the top 10 on the first day of release. As with Get Rich, it is entirely possible to dominate the game without paying for anything since the most important currency, gold, can be purchased with the currency you won in games. And the gems are abundance. After playing for just 3 days, I've amassed 200 gems from events, missions and dailies. TA has always missed out reviewing games that are insanely popular in Asia. I'll try to start a little corner for introducing and reviewing these games. Enjoyable game, very similar mechanics to monopoly. I'm surprised this game isn't getting more love also Xanthos. I've been doing well after a weeks playing, not spent a penny and well into the pro league. 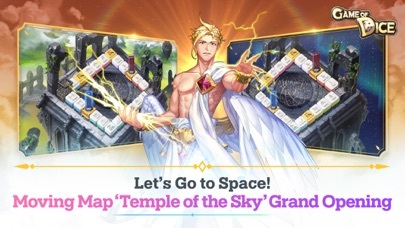 Saw this advert on the app. The artwork and the opening video look great but cant get it to work. Same with the devs other game. Got this working, love the set up and characters but too multiplayer focused m, not for me. I don't know why there is no attention paid to this game here - it's pure addictive fun! I haven't spent a dime and having a blast. How about you guys join the TouchArcade guild I created? Just search for "TA" in-game. Finally! Thank you very much for making this an official thread here! Just wanted to share my youTOB channel showing my gameplay/strategic videos for Game of Dice! New Character from the Running Man Cast! None other than the Asian Prince, Kwang Soo! Explore, roll, and play now at this new board map and obtain awesome daily rewards!